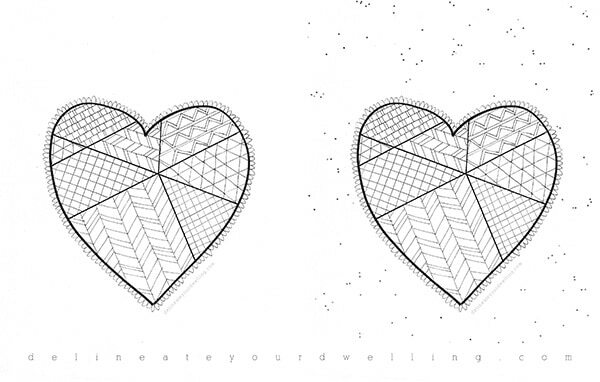 INSIDE : Enjoy a little relaxation time while you doodle on this fun Geometric Heart Adult Coloring Page printable. 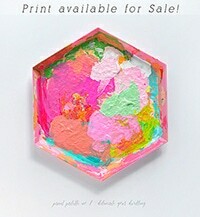 It is a fun activity for both children and adults, alike! 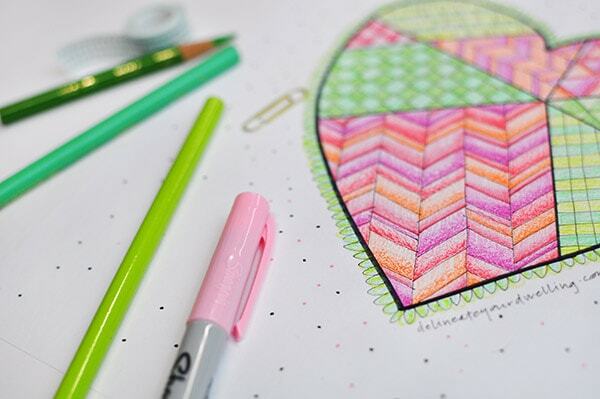 Have you jumped on the coloring sheet trend yet? I just recently had a fun Adult Coloring and Wine night with a bunch of girlfriends and decided right then and there I wanted to start a monthly coloring post. I got out my nice drafting pens and a clean sheet of paper and went to town. 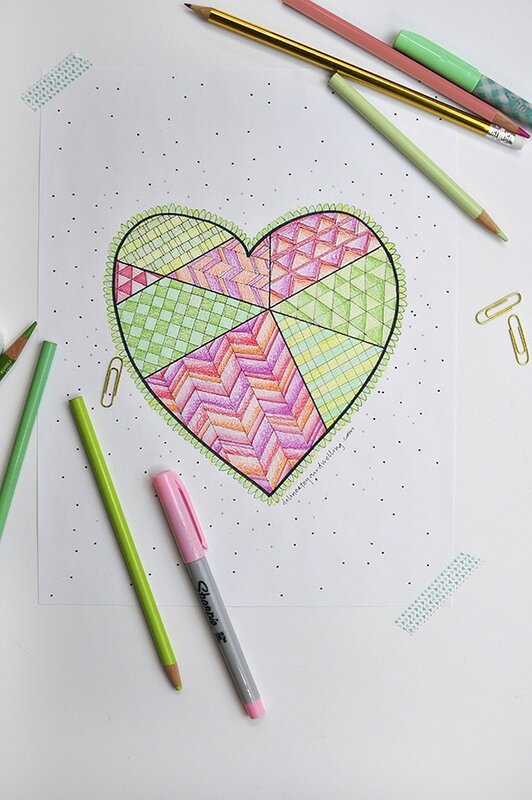 Today kicks off the first of a monthly series starting with this Geometric Heart Coloring Page. Did you know if you sign up for my newsletter you have the opportunity to purchase ALL my coloring sheets bundled into one pdf. And what a better design than a fun heart for the upcoming Valentine’s Day! I made one coloring page printable version with a blank background and one version with a polka dot background. So either style is available for you to download. However, if you are looking for Easy DIY Artwork, you might want to check out these simple tutorials I put together for other paintings. While I was coloring my sheet, I had both of my kiddos on either side of me and we were all having a fun coloring party together. So whether you grab a glass of wine at the end of a long day or pull up beside your children, I hope you enjoy taking a few moments out of your day to relax and do a little doodling! To download this happy coloring printable follow the directions below. 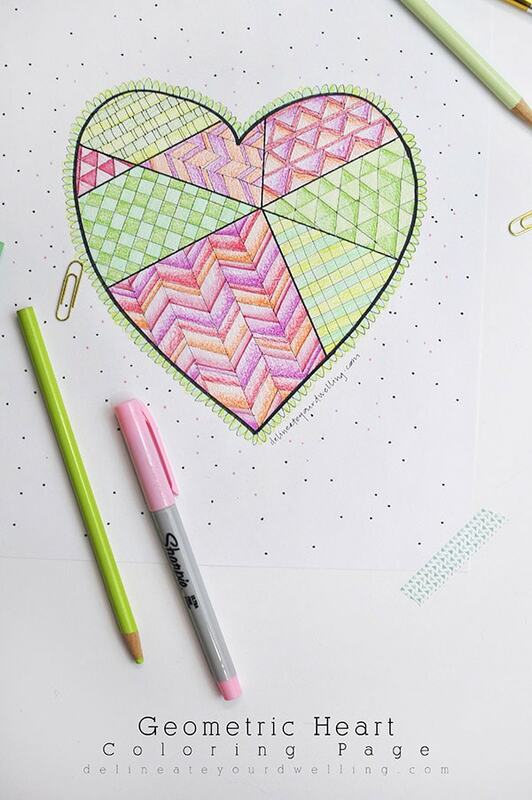 Sign up for the DYD Insider newsletter to receive access to my ENTIRE DYD Printable Library along with this ‘Geometric Heart’ printable!!! After signing up for my newsletter you will also have access to an EXCLUSIVE coloring page bundle — be on the lookout. And don’t forget, if you end up coloring your page I would LOVE to see how they turned out! 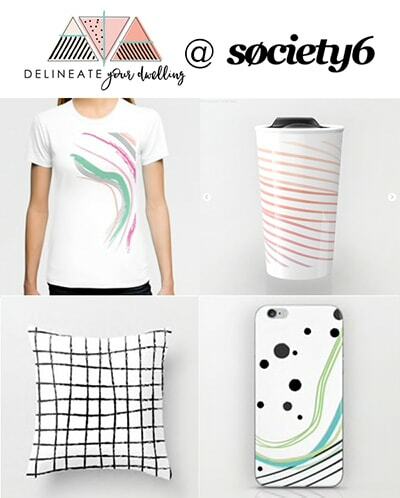 You can tag me on Instagram or Facebook @delineateyourdwelling or send me a quick email with a picture. Ah, so fun Ursula! Coloring is so calming, I think that’s why I’m really loving it these days. So fun! I’m loving the grown up coloring book trend right now. And the addition of wine sounds like the perfect way to unwind! Adorable Amy – such a fun idea!! A colouring and wine night sounds perfect!! It really was such a fun time, Krista!